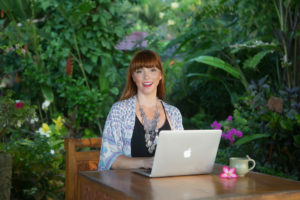 Ancient wisdom for modern women: one-on-one coaching to empower you to live your life’s purpose. Well hi there, I know you. You look like a woman coping through amazing adversity with grace, poise, and determination. People compliment you on your ability to get the job done! Collapse? Not on the cards, you say. There’s too much riding on your success. When you’re on your own, when it’s quiet, the doubt creeps in. Can you really get up and do this all again tomorrow? Brene Brown and Eckhart Tolle are your bedtime companions, but if you’re honest you usually read them thinking ‘yeah, I already know that.’ It’s making sustainable changes that trips you up. And that’s where I come in. Through a blend of Chinese alchemy, my intuition and your own divine compass, we work to shine a light into your darkness. Together, we take the messy, misplaced puzzle pieces of your life and find an empowering new way to live with ease. In today’s world we are so often shut out of our own temple, a sense of hunger permeates our day, yet no matter how hard we try to satiate ourselves with food, work, shopping, relationships, exercise, or social media, there is that nagging feeling that there must be another way. It’s been tough but the light is getting brighter, YOUR light is getting brighter. But hell it would be great not to have to keep doing it all on your own. All along you have been seeking the counsel of your highest self. The power has been with you, beloved. It’s time to bring it back. I hear you. I’m calling out to you. Let me support you through this time of confusion or unrest in this process of unfurling into your best self yet. Let me guide you towards a better way. In ancient times we had a place, a collective, and a space to weave and share and dream and birth our stories in this world. To laugh and be deliciously wicked and wild. Dear one, this is such a space. Come sit and play and laugh and heal. This is your permission to reset. This is where you stop doing it all alone and let me guide you, support you, and teach you a new way of being. We’ll start with a questionnaire to discover more about your health, including stress, lifestyle, food choices and exercise. This will provide me with a good understanding of your situation so I can give you the best possible coaching. 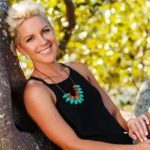 As my background is diverse, including extensive training in the 5 Elements (Wood, Fire, Earth, Metal and Water – and how these elements relate to your cycles and health), Acupuncture and Chinese Medicine, I am able tap into an abundant understanding of health from an Eastern perspective and form a unique assessment of your health and lifestyle. A wealth of information comes through to me when I am face-to-face with a client, in person or over Skype. This intuitive knack gives me the ability to offer you guidance for the direction your energy is taking and the path that is beginning to open up in front of you. I believe in having systems already in place to guide my clients through the coaching process, but I also know how valuable personally created projects (including worksheets and playbooks) can be. There’s no point trying to squeeze you into a plan that doesn’t meet your needs or adjust for your particular lifestyle. We will take a comprehensive overview of what’s happening in your life, and tailor timing, sessions, and actionables accordingly. I have a repertoire of guided visualisations, restorative yoga postures, and energy practices, to balance chakras, address held emotions, calm the nervous system, and inspire creativity. Personalised coaching, intuitive know-how, and physical healing are a powerful combination. Over the course of three months you will not only create major shifts past obstacles, blocks and fears; but you’ll also carve a uniquely brilliant and exciting path toward an abundant future. I’ll be right there with you using practical tools, a deep well of experience, my intuitive knack and extensive physical healing so that you can shine brighter than ever. You’ll have access to an abundant supply of worksheets, playbooks, guided meditations, restorative practices and so much more. This series is available for women who live on, or can travel to, the Gold Coast, Queensland. These sessions consist of weekly in-person coaching and Acupuncture or Rockupuncture treatments. Don’t live nearby? Contact me to discuss a tailored package. Let’s turn the whispers of your heart into a tangible, beautiful reality. Discover your soul’s needs and wants through getting clear on your values and what you truly need to nourish and nurture you. This clarity sets up a powerful base from which you can begin show up in this world for yourself and your loved ones. This module is a respectful, powerful and informative introduction to working with your body’s natural rhythms, tapping into your innate creativity, and healing health issues through Chinese Medicine. In my years of clinical practice I have seen many clients struggle with the mental, emotional and spiritual component of gynecological and hormonal issues. Most women I meet in my clinic don’t understand that there’s often a strong link between physical female conditions and their mental, emotional and spiritual states. Nor do they know how to help themselves. In Chinese Medicine the Feminine principle is magnetic and receptive. It’s more than just yin as the opposite to yang. Women across the world are navigating a complex and constantly changing gender climate. The roles, expectations and biases are more subtle than ever. You are the receptive creatrix of your world and this module aims to inspire you tap in to the, naturally occurring, and abundant sense of motivation in your life. Somatic Wisdom Your body, your wisdom. This module is practical and embodied and is designed to put you in touch with your physical sensations and symptoms and how these relate to your emotional and spiritual wellbeing. Using the ancient wisdom of Chinese Medicine to provide insight into what’s showing up in your body we use movement practices, breath awareness and body work to heal any imbalances. There is a fine line between burning bright and burning out and this module will guide you to a better understanding of how to keep your fire burning consistently and evenly. We’ll look at the heart and kidneys, two organs that play an imperative role in discernment, staying on purpose, and avoiding adrenal fatigue and burnout. I’ll show you how to nourish them daily. Not what you need? Hey, there are always exceptions to rules and you may just be one! Depending on my schedule I may have the ability to work with you in a more tailored way. Let’s have a discovery session and see what’s possible.